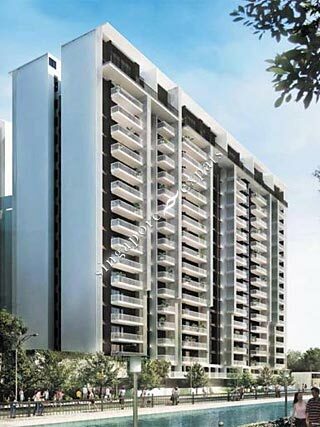 THE LAKEFRONT RESIDENCES is located at 42 - 48 LAKESIDE DRIVE in district 22 (Boon Lay, Jurong, Tuas) of Singapore. THE LAKEFRONT RESIDENCES is a 99-year Leasehold Condo development consisting of 629 units. THE LAKEFRONT RESIDENCES is completed / TOP in 2014 (estimated), developed by KEPPEL LAND (MAYFAIR) PTE LTD.
Educational institutions like CANADIAN INTERNATIONAL SCHOOL (LAKESIDE), YUVABHARATHI INTERNATIONAL SCHOOL, GERMAN EUROPEAN SCHOOL SINGAPORE, RULANG PRIMARY SCHOOL, SHUQUN PRIMARY SCHOOL and LAKESIDE PRIMARY SCHOOL are near to THE LAKEFRONT RESIDENCES. THE LAKEFRONT RESIDENCES is accessible via nearby LAKESIDE, CHINESE GARDEN and BOON LAY MRT Stations. MRT is at doorstep, nice pool facilities, and friendly residents. I'm enjoying my stay here with my young family! New and nice condo. nice pool. able to enjoy and walk by the lake during free time. very convenient and near to mrt.